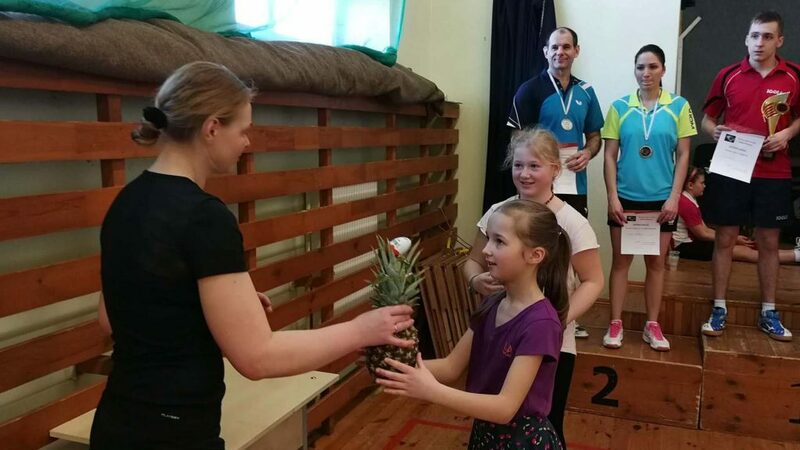 The southern most of Europe‘s Baltic states, in common with the rest of the world, Lithuania celebrated World Table Tennis Day on Friday 6th April; in fact the occasion was taken to the nation‘s heart, the celebrations lasted all weekend! Overall six registered events were staged, in the true spirit of the day, it was table tennis for everyone and for some a new experience. The biggest event took place in Akmene under the leadership of Kestutis Barauskas; no less than 73 young people attended, all under 16 years of age. A resounding success, it was the same with regards to the initiative organised by Andrius Cerneckis in Tverai; overall 28 enthusiasts attended representing a wide range of ages; the youngest was nine years old, the most senior 58 years of age. Likewise, led by Igoris Kozemiakinas in Zujunai, a town near the capital city of Vilnius, a Mixed Doubles competition was held. Notably as in Tverai, the youngest player on duty was only nine years old but most pertinently there were celebrated names on duty. Rimas Lesiv and Vitalija Venckute were present, the respective Men‘s Singles runner up and semi-finalist earlier this year at the 2018 Lithuanian National Championships. Also, there were players present who had enjoyed success in the Hopes category in the 2018 Lithuanian National Junior Championships; Laura Abaraviciute and Gabija Abaraviciute were names to note. Similarly in Riese not too far distant from Vilnius, Justinas Indrasius organised the “Family Championships”; players having to compete in teams with family members. A total of 23 enthusiasts took part and again there was a vast range of ages, the youngest was 11 years old, the most senior 91 years of age. Smiles abounded in Riese, it was the same in Kaunas under the direction of Viktoras Stankevicius; similar to all events numbers were promising and the age range wide. Impressively 31 avid players took part ranging from 14 to 65 years of age. Events throughout Lithuania with the town of Prienai not to be left out. Directed by Linas Zilevicius players aged from 19 years to 68 years attended; most significantly local stadium employees played on min table tennis tables. The Lithuanian Table Tennis Association thanks all concerned and looks forward; next year even bigger!